The poems of Fire’s Goal reflect a year of journeys to sacred river sources in India. Laurie Patton’s poems were written after a decade of writing and reading in interpretation of India’s most sacred Sanskrit compositions: The Vedas. 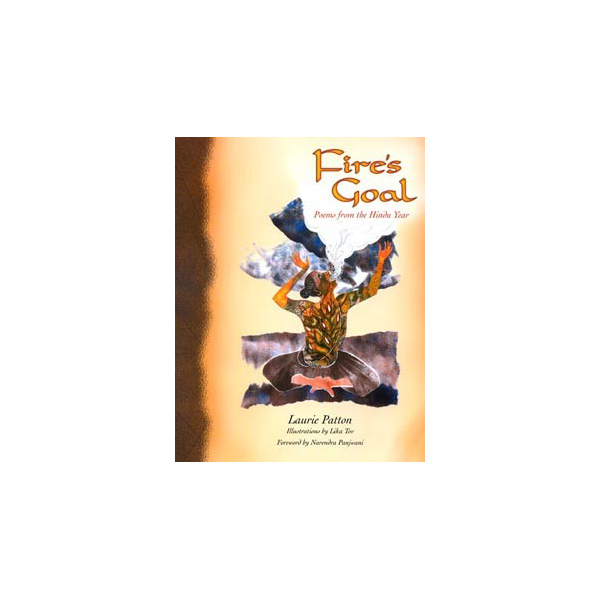 Beautifully illustrated by Lika Tov’s enchanting depictions of the rituals of Hindu life, Fire’s Goal is about the consuming fire of longing, in God’s presence and in God’s absence. It is a kind of early twenty-first century bhakti, or devotional voice, in which the fire of longing consumes the one who longs in ways that are both specific to the contemporary devotee and also accessible to the non-Hindu reader.